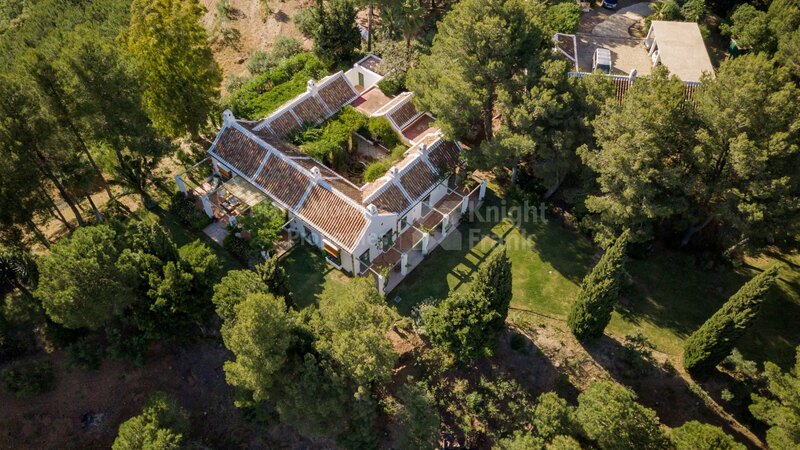 Please, send me more information about ref DM4337 in Coin or similar properties. 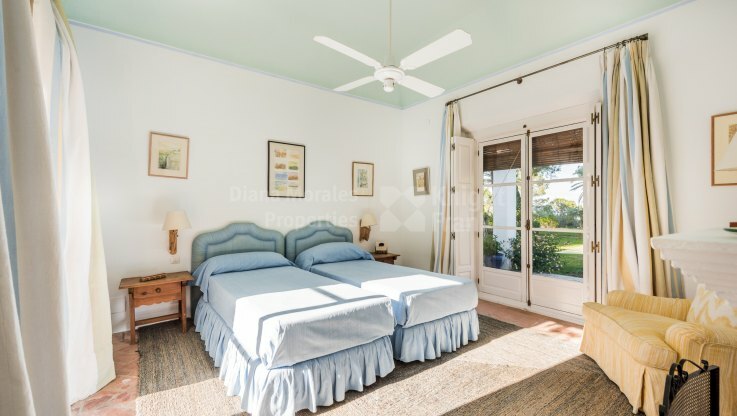 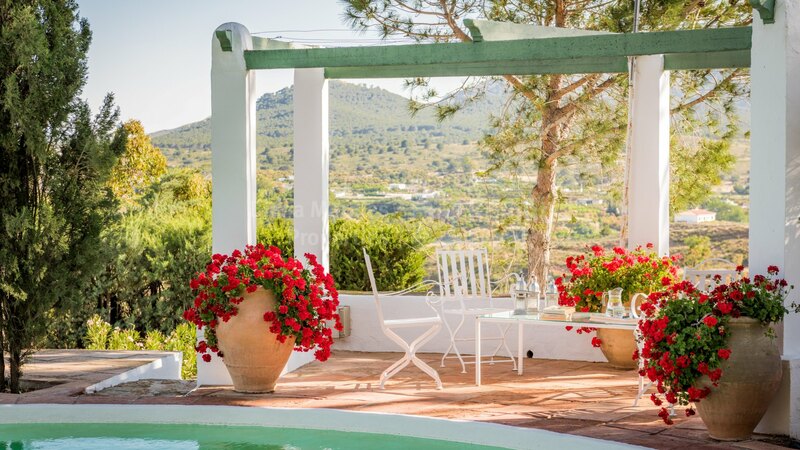 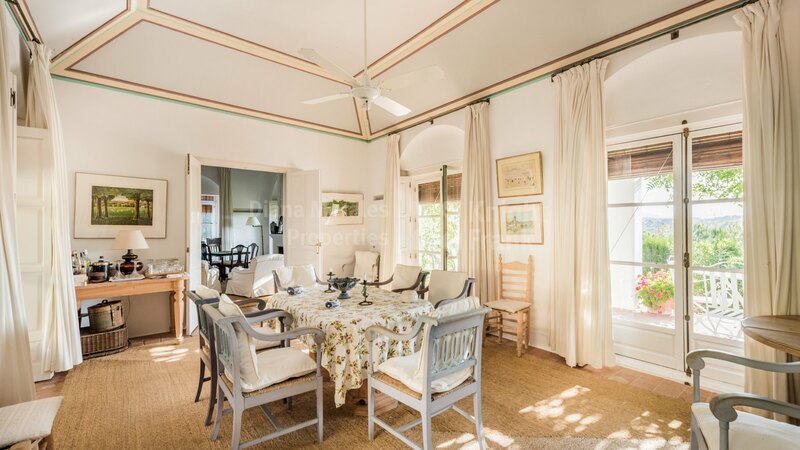 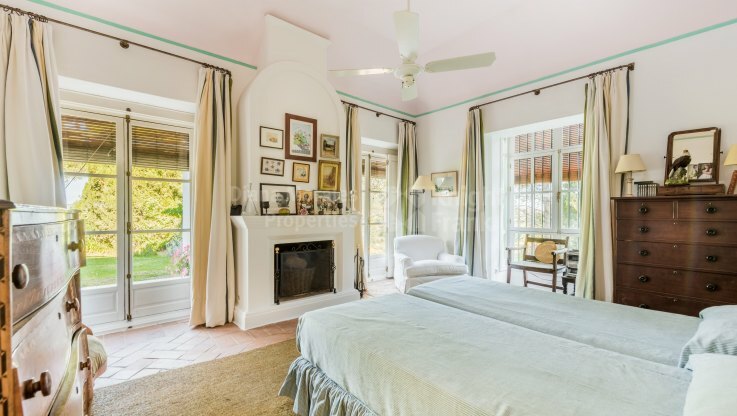 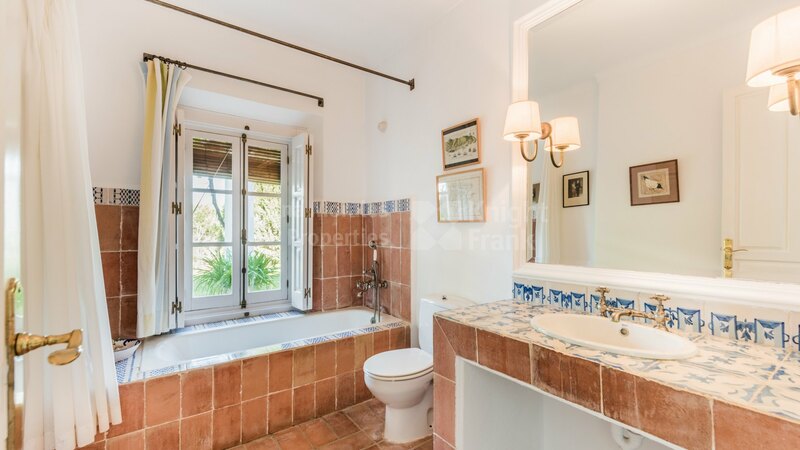 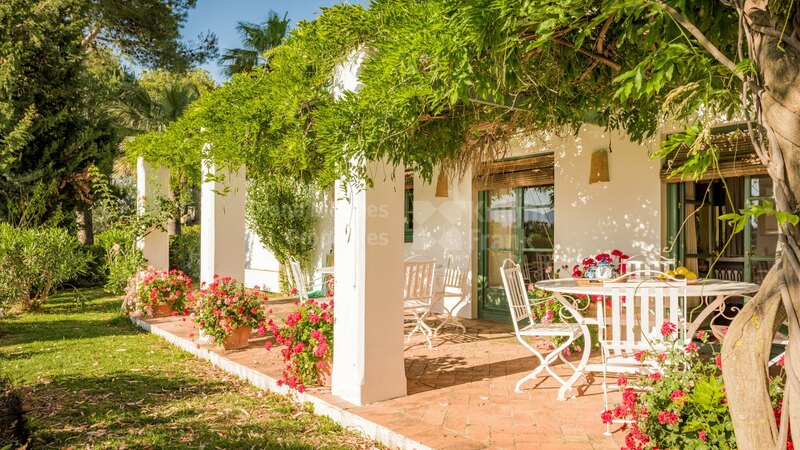 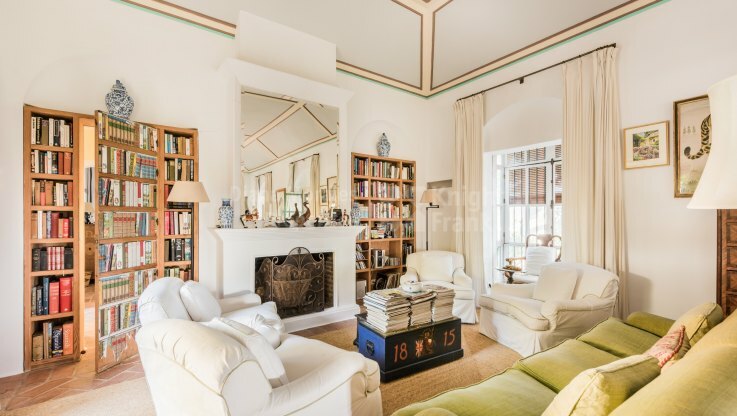 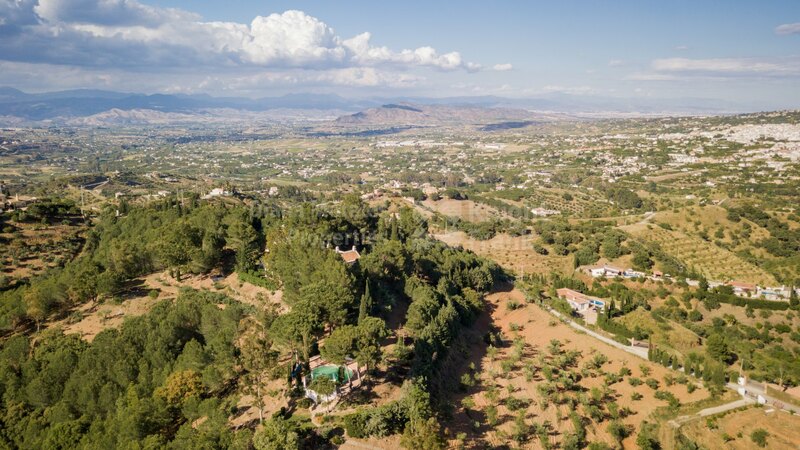 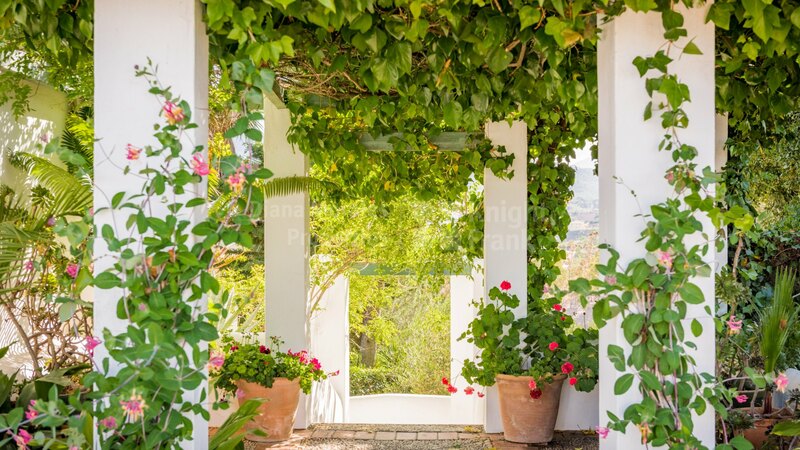 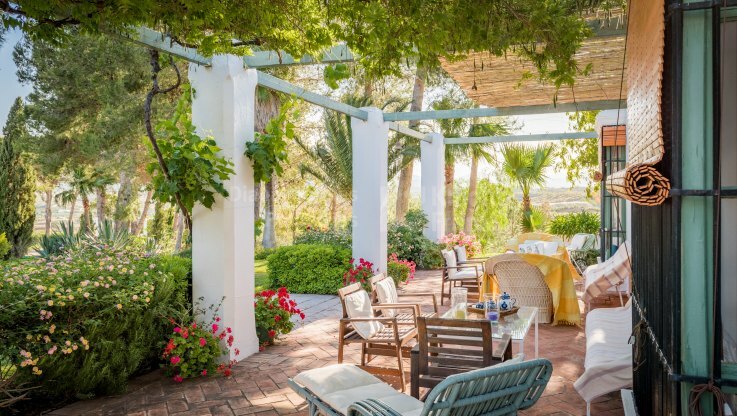 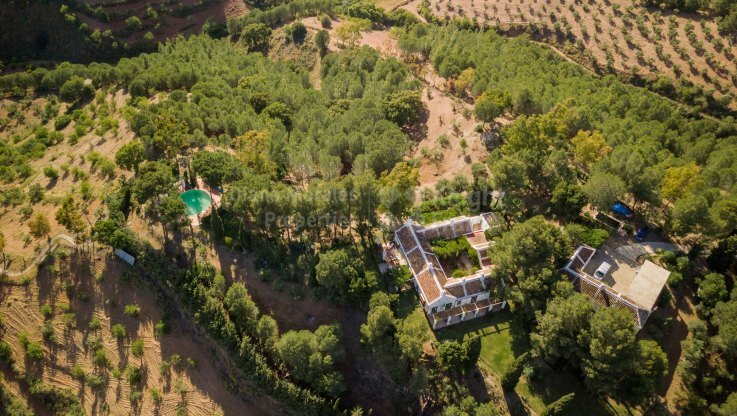 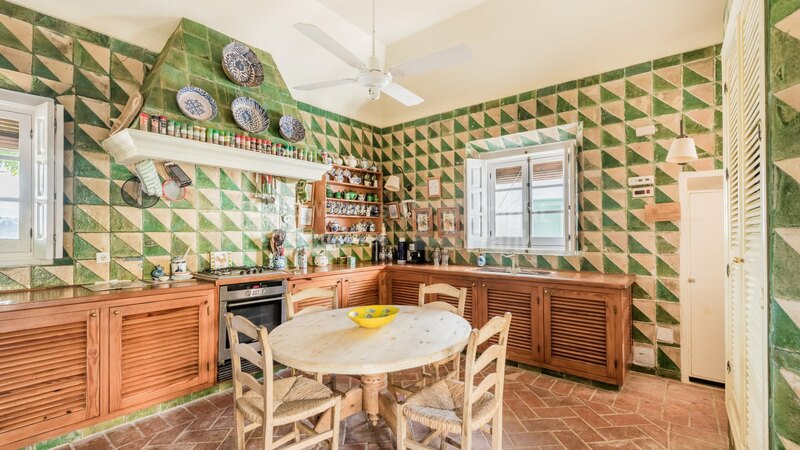 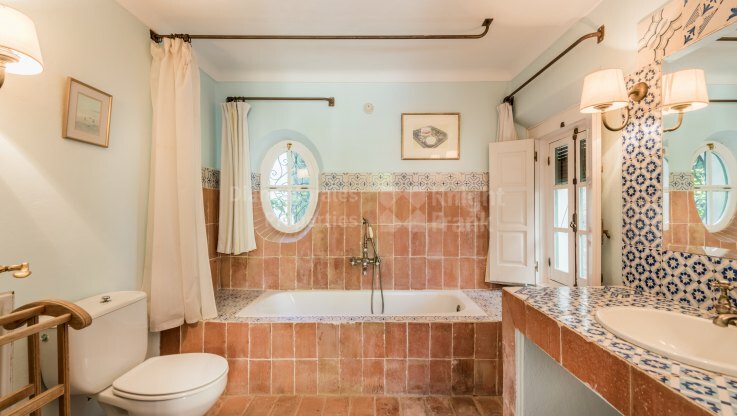 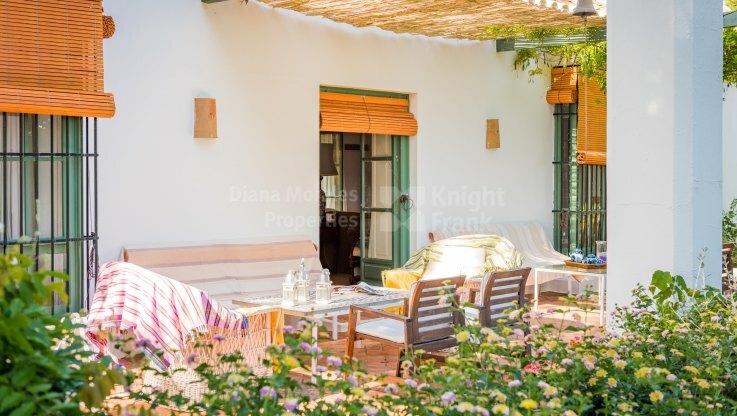 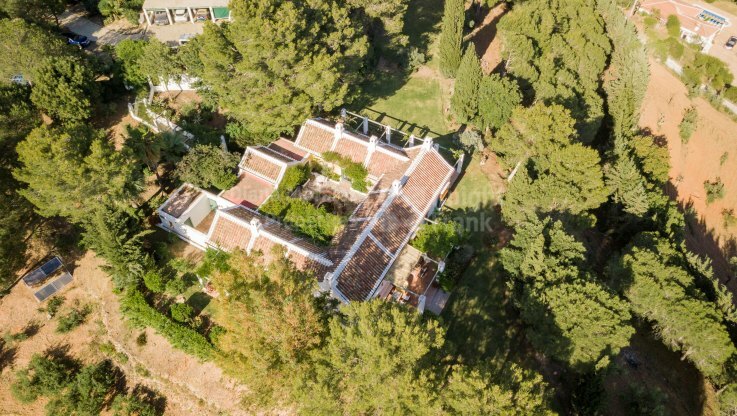 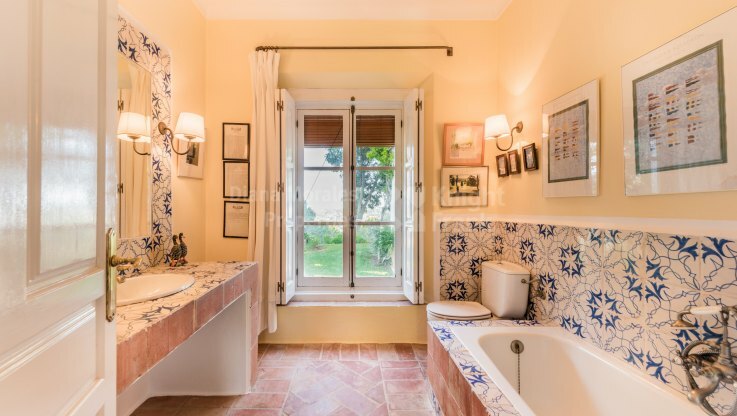 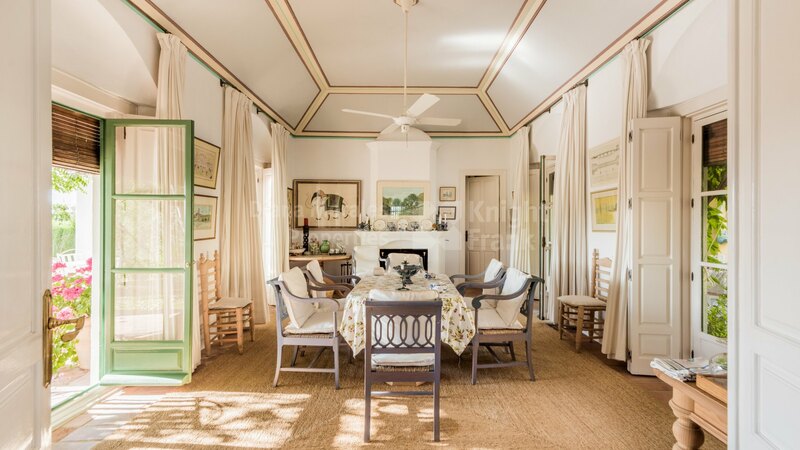 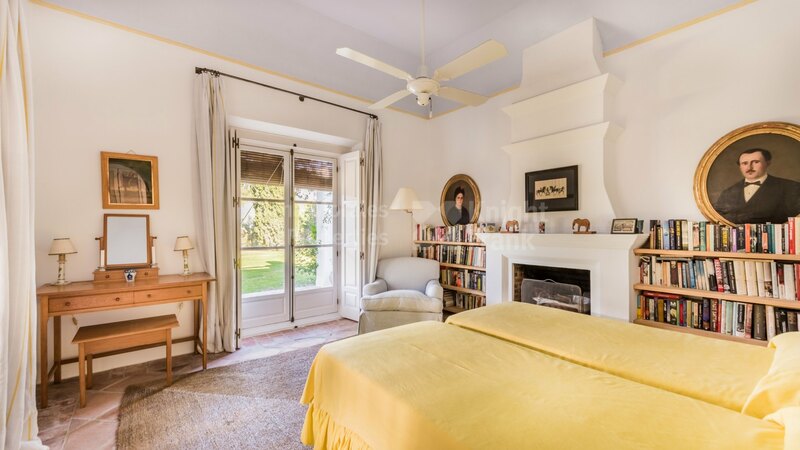 This charming Andalusian country home is a peaceful and verdant retreat close to the villages of Coin and Alhaurin el Grande in Malaga, approximately 30min drive from Marbella, Puerto Banus and Malaga International Airport. 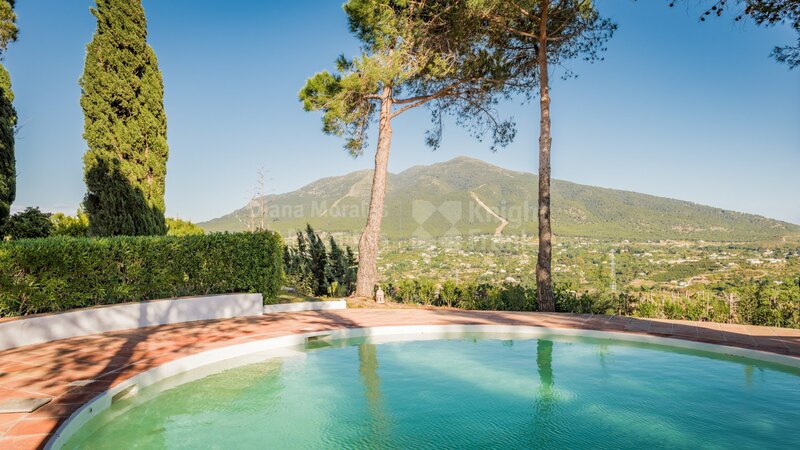 The estate includes the main house, a guest house and a staff house, in the midst of an extensive plot of land that guarantees privacy and tranquillity with far reaching views over open countryside including the Alhaurin castle and also the Sierra Nevada ski resort in the distance on a clear day. 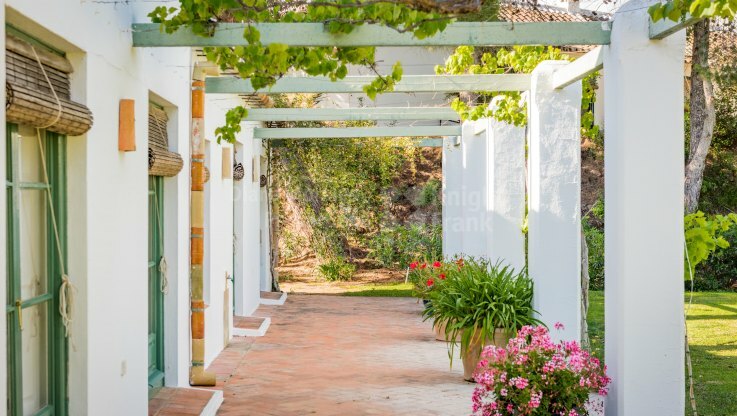 A cobblestone pathway sheltered from the sun by vineyard branches leads the way down to the antique wooden door and hallway to enter the courtyard. 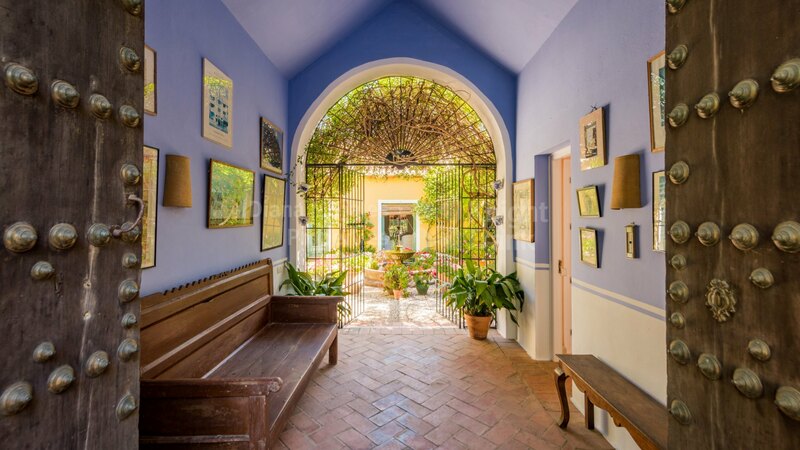 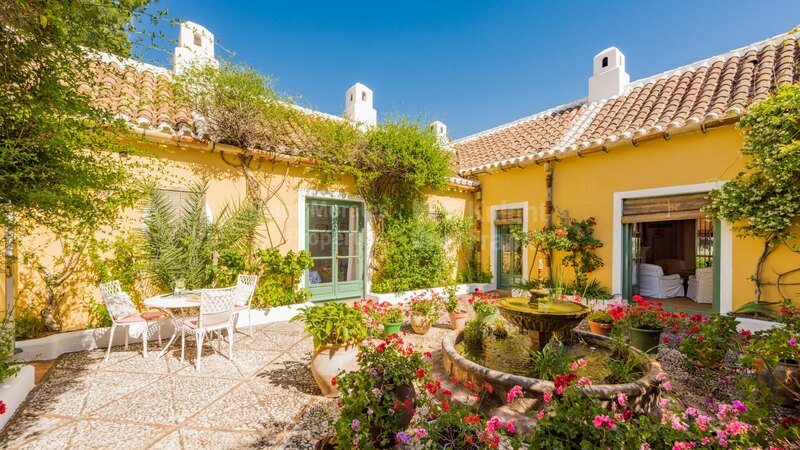 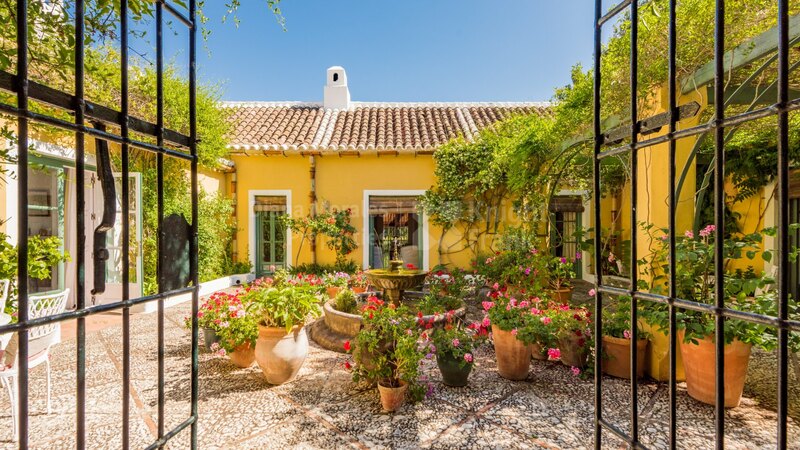 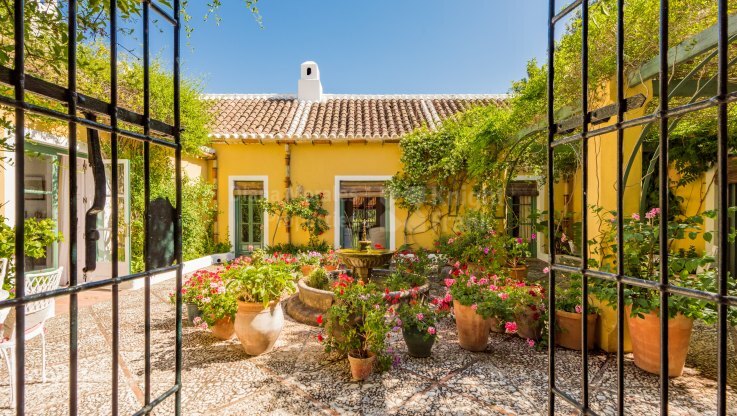 Adorned by a fountain, climbing bougainvillaea, handcrafted cobblestone pavement and terracotta planters filled with colourful flowers, this Andalusian patio is an enchanting space and also the central point around which the house is distributed. 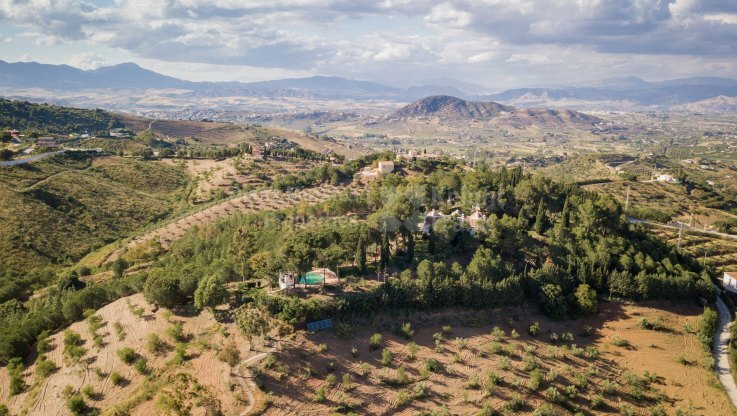 The accommodation is well laid out, taking full advantage of the surroundings. 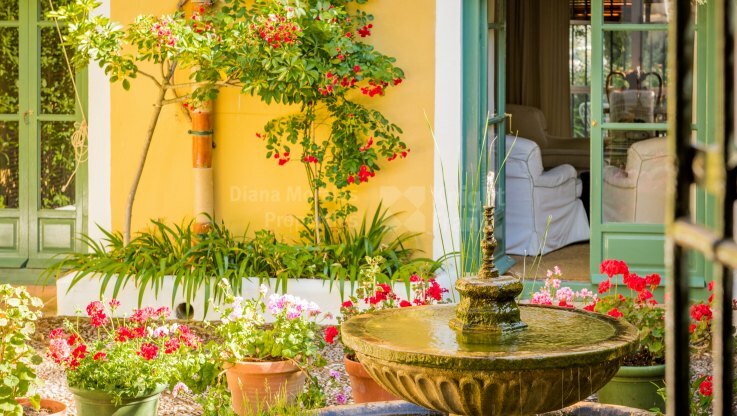 The main house offers four bedrooms, three of them with en-suite bathrooms, kitchen with eat-in area and adjoining formal dining room with fireplace and access to the outdoor dining space. 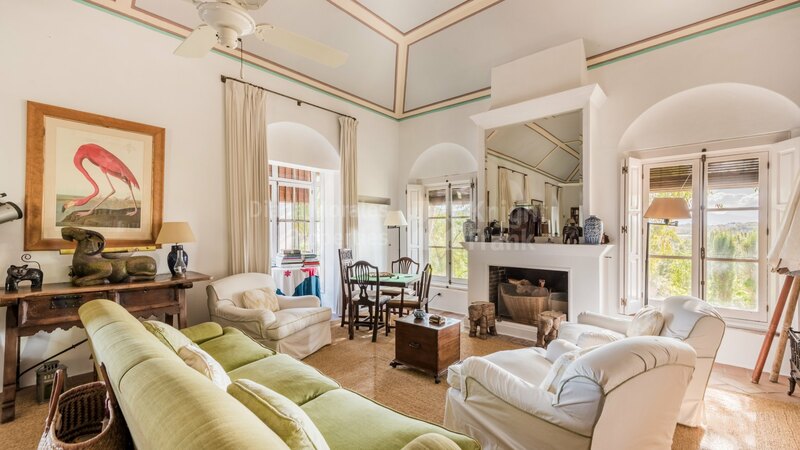 The spacious living room is attractively arranged in two separate areas, each of them with its own fireplace, and has an exit to the beautiful porch and mature garden which spreads towards the western wing of the house, providing the perfect scenario for al fresco dining and entertaining. 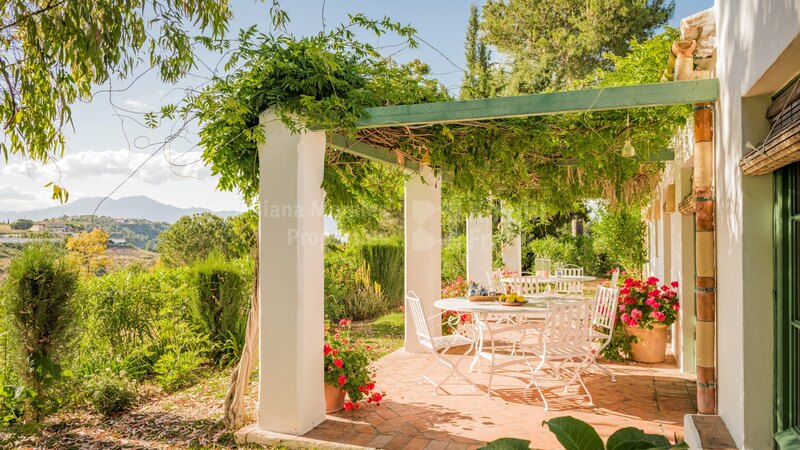 The garden area extends down to the swimming pool with pergola. Further down there is a staff house with an open plan bedroom/living area with fireplace and bathroom. 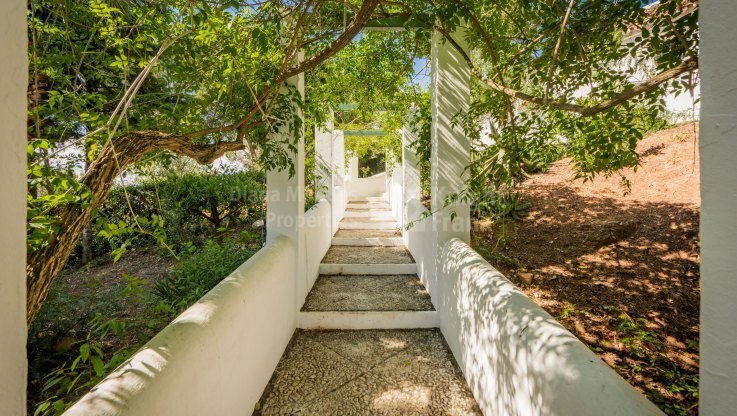 It has independent access through a pathway from the main gate. The guest house is situated at the entrance of the state, offering three bedrooms, living area, kitchen and bathroom. Two enclosed garage spaces and carport for 4 cars are situated at the entrance.